I started my career with Sign Me Up as an employee of one of their corporate stores. I’ve worked in many print and sign shops before that but I was amazed by how easy it was to make a profit in this business. I couldn’t wait to have my own store one day. It was my dream to own my own business one day. When I was ready, the team over at Sign Me Up made it really simple. They paved the way that allowed me to open my own store when I thought I wouldn’t have been able to. I’m my own boss now and It feels so good to make good money doing something I’ve always loved. 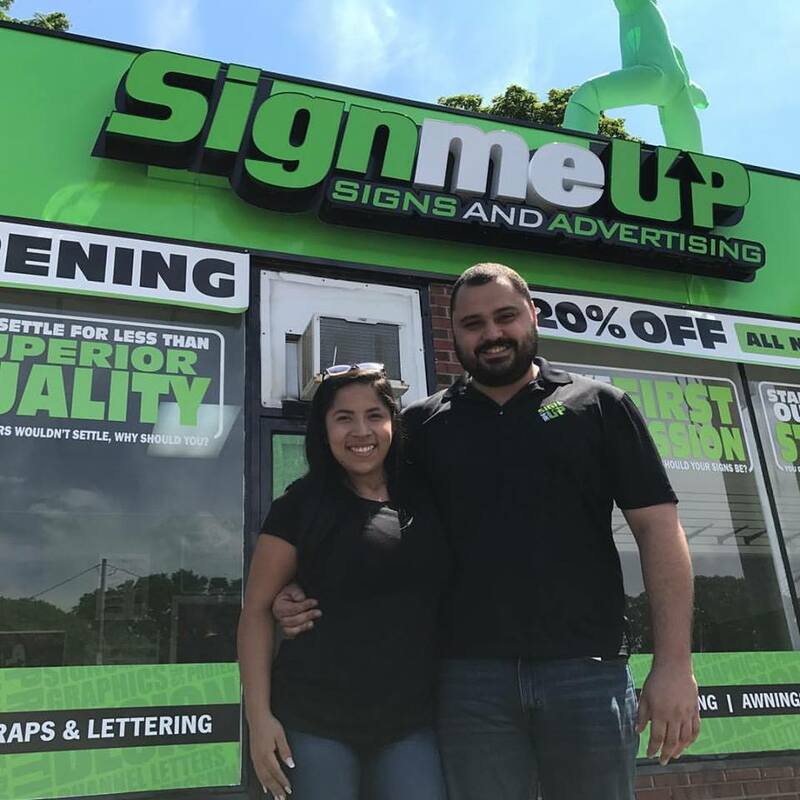 The team over at Sign Me Up has helped me with my custom marketing program that helps generate business for me. They taught me the amazing art of selling myself. My phone is ringing, and business is coming in… I couldn’t be more pleased.